A favourite with freshwater and saltwater fishermen alike, Crystal Ivory, with its unique golden colour, is designed to blend and disappear under water – becoming virtually invisible to fish, even in clear-water situations. At the same time, Crystal Ivory offers excellent visibility above the surface, making it easy to track your line and detect the most subtle bites, even in low light conditions. 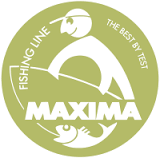 And, like other MAXIMA monofilament lines, Crystal Ivory’s high-durability finish makes it incredibly abrasion resistant. Whether taking on bottom fish or wary surface species, you can fish with the confidence that versatile Crystal Ivory will get the job done.